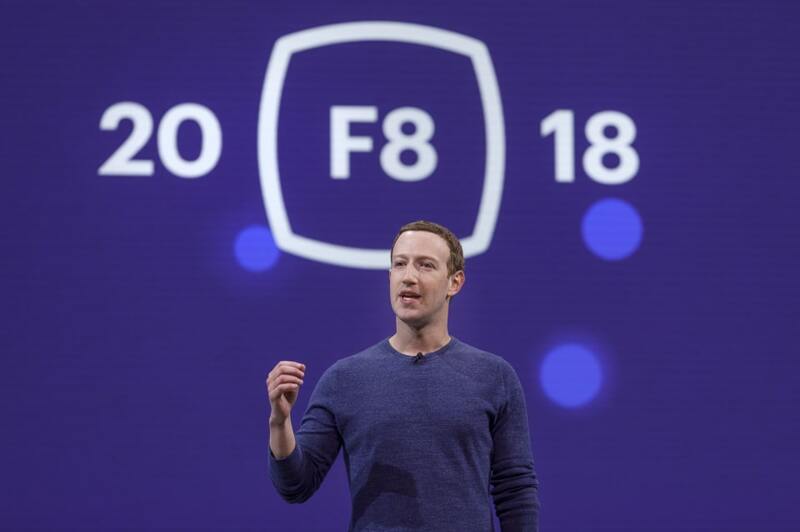 A lot has happened in Facebook world since its 2017 developers’ conference. The company’s user base continued to grow despite privacy issues so massive they spurred CEO and former dorm room resident, Mark Zuckerberg, into testifying before Congress. We expect this year’s keynote to focus firmly on security with some new user-oriented features thrown in to spice things up, including talk about VR, AI, and other technology acronyms. You can watch the live stream above and check out a running tally of the events and announcements below. Before the event, Mark Zuckerberg issued a statement on his own Facebook page about what to expect from the event. The first development is a “clear cache” button that wipes away the data Facebook has about you from some of its tracking utilities. Hopefully, this is a chance for Zuck to get into the nitty-gritty of the privacy updates without having to navigate around the clumsy questions he encountered during his Congressional testimony. Zuck comes out smiling. He says this has been an “intense year,” and he’s right. Clearly, there’s going to be a lot of security talk at this event. The first real announcement is that App Review process is happening again so developers can actually make apps. Now we’re moving into Facebook’s role in elections. He’s going over the tools we already knew about like the fact that you can see who bought an ad and the fact that there will be 20,000 people working on content review by the end of the year. We’ve heard these three categories before as well. Zuckerberg says they’re using task forces and AI among other things to combat it. 1:14 PM is the first time we hear mention of GDPR, which is clearly looming large over this conference. The first big new tool is a user tool called Clear History. You can see information gathered from Facebook integration onto other sites, including apps and websites that use Facebook’s ads. Zuckerberg says “we’re building this,” but doesn’t offer a date for it to roll out. He does, however, say that you can turn off that tracking forever once you clear it. It will be limited at first. Gut reaction is that this is a little unclear about whether or not this is all the data Facebook has about you. “People want Facebook to be about friends and interacting with people,” is a theme. Watch Party is a feature that lets you watch videos in small groups and chat with your friends. He uses his own Congressional testimony video as an example. This seems like something that will get more popular with more content partnerships like the one it already has with the MLB. Zuckerberg says that Groups will become a larger part of the Facebook experience. There will soon be a “join group” button that creators can use in order to build on the community. So, you can put the button on web pages and in emails. You can be friends with more #brands on Facebook. Facebook is taking aim at Tinder and wants to build “long-term relationships.” It’s optional and you’ll only get suggested people who aren’t your friends that have opted into the Dating section. There have been rumors about Instagram video chat for some time, but now it’s finally happening. Now we’re onto Facebook’s other apps, starting with Instagram. More than 100 million people now follow hashtags on Instagram since last December. Explore is getting a new design oriented around topic channels. Hopefully it will recommend fewer vapid “influencers” all the time now. Video chat will let you talk one-on-one or in groups with people directly within Instagram. This has been rumored for a long time. AR camera effects are coming to Instagram now, which means stories are about to get even more insane looking. Whatsapp is now getting group video calling over its encrypted network so you can talk to multiple people instead of just one. More than 300,000 businesses are using Messenger and bots, and they’re sending 8 billion messages per month.